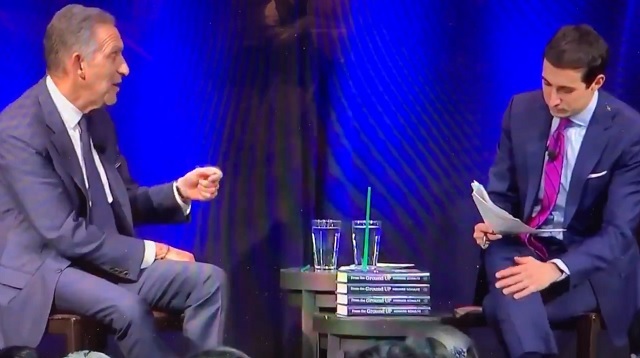 While speaking with CNBC late last month, former Starbucks CEO Howard Schultz said billionaires should be referred to as "people of means" or "people of wealth." "The moniker 'billionaire' now has become the catchphrase," Schultz said. "I would rephrase that and say that 'people of means' have been able to leverage their wealth and their interest in ways that are unfair, and I think that speaks to the inequality but it also speaks to the special interests that are paid for people of wealth and corporations who are looking for influence." Leftists like Schultz should be referred to as "people of memes."